What I love most about Facebook is seeing family photos. The adorable children in their spiffy Easter outfits or spooky Halloween costumes always make me smile. Family gatherings for weddings, Thanksgiving or Christmas are wonderful, too! Just recently, I joined a FB genealogy group for the Arkansas county where much of my family was raised and went to school. In this photo, you can see my paternal grandmother, Rosa Bayley. 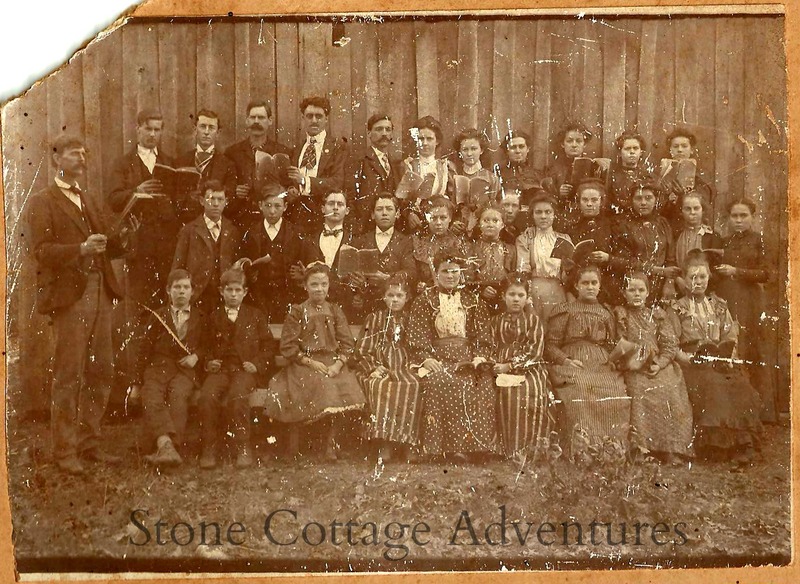 She is in the upper right corner, last person in the back row, holding up a song book. Thankfully, someone wrote names on the back of it. The Ball Creek School District #91, was established on August 10, 1880, and closed when it was consolidated with the St. Paul district in 1948. 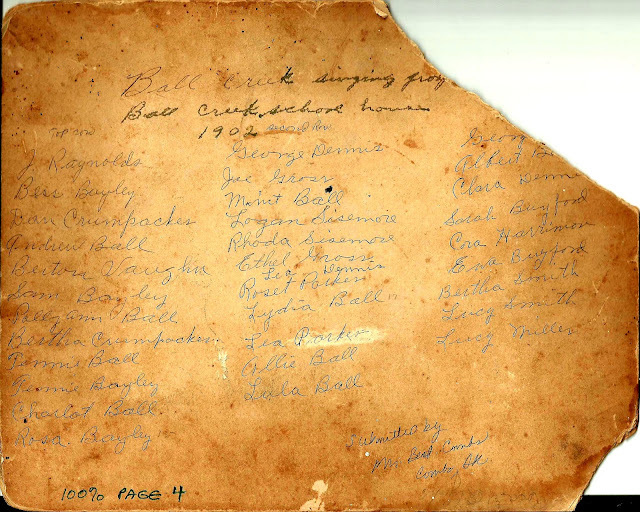 Records show that in 1900 there were 27 students attending school at Ball Creek. and in the 1930's and 1940's the school enrollment was about 30-35 students, with only one teacher. A new schoolhouse was built about 1910, which still stands today. The information on the back of the photo you submitted says "Singing School Group" at Ball Creek. Singing schools that taught "shaped-note" singing were common in Madison County and the singing teachers traveled around holding these schools that taught people how to read the shaped-note songs, which were usually sung without any accompanying music. It has sparked LOTS of conversation! I am thrilled to learn more about this side of my family! Hopefully, there will be other photos submitted that I can share along with this one! What do you love most about Facebook? That's awesome Marci! I'm sure the surname Bailey is probably related to Bayley, huh? Are your Bayley ancestors Irish? So cool and fun to hunt down clues from the past. Love genealogy. It's so cool to discover where you came from.